A Store Used My Daughter's Picture in a Facebook Ad. Is This Legal? Home » The Law & You » A Store Used My Daughter’s Picture in an Ad. Is This Legal? A Store Used My Daughter’s Picture in an Ad. Is This Legal? Fellerman & Ciarimboli attorneys Ed Ciarimboli and Greg Fellerman discuss the legal implications of using someone’s photo in an advertisement on social media. If you have a legal question for Fellerman & Ciarimboli, contact us now for a free consultation. Dave Kuharchik: We have a question about Facebook. 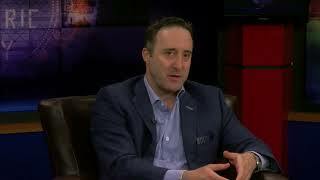 It is “The Law & You” with attorneys Greg Fellerman and Ed Ciarimboli. Guys, welcome to the show tonight. Ed Ciarimboli: Who’s going to win the NCAA Championship, Dave? You’re on the spot. Dave: If I knew I would put a lot of money on it but unfortunately I don’t. I never do good at these pools. Greg Fellerman: I love this. This is my favorite time. Ed: Villanova. I’m going with Villanova. Dave: Some good picks there, we’ll see how that pans out. We know what’s going to happen today, free legal advise. Patty in Miners Mills says, “We recently saw a picture of my daughter used on Facebook for an advertisement for a children’s store. Is this legal? We didn’t sign anything.” Patty bring up an interesting question here. What’s the story? Ed: Here’s, really, the interesting thing. It really depends on what you did with that photograph. If this was a photograph that was taken of your daughter and then they used it, but if this was a photo that was actually already on Facebook or Instagram or something of that nature, as soon as you put something on Facebook or Instagram you no longer own the rights to that. Facebook or Instagram really does own the rights to that. We probably need a little bit more information. The general rule is no one can use your image or likeness without your approval, but now in the age of social media there’s been a lot of blurred lines on that. Greg: Yeah, and the thing with social media to is there’s so much going on in social media, let’s just move away from the question for a little bit, but it seems like there’s a lot of different, between bullying and fake news we’re getting, it seems like there’s going -I believe- to be this huge push back on social media at some point because of some of the negativity that’s coming out. You have legal issues, you have the school issues. It just seems like- you’ve got too put it into context. It’s social media. It’s a way to connect with people. It’s become so much more. It’s interesting to watch it evolve. Dave: A good point to just to be careful what you’re putting out there. Greg and Ed: Oh, absolutely. Dave: If you need the help from the attorneys you could give them a call or check them out online. Don’t forget , results matter with attorneys Greg Fellerman and Ed Ciarimboli. See you next time. pahomepage.com and “The Law & You” hotline are there for you.